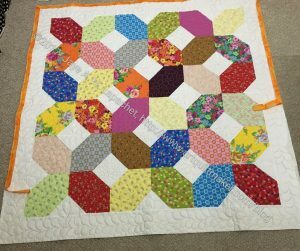 Colleen has been working on the Lozenge quilt on and off for a few weeks. Today she sent me a photo showing that my binding was too short -WAY too short. Clearly I have too much on my mind. I knew how big the quilt was. I made the binding what I thought was the right size. Clearly, it wasn’t. The quilt is coming back to me. I will finish the binding (another thing to add to my to do list) and then I will be able to send it off. 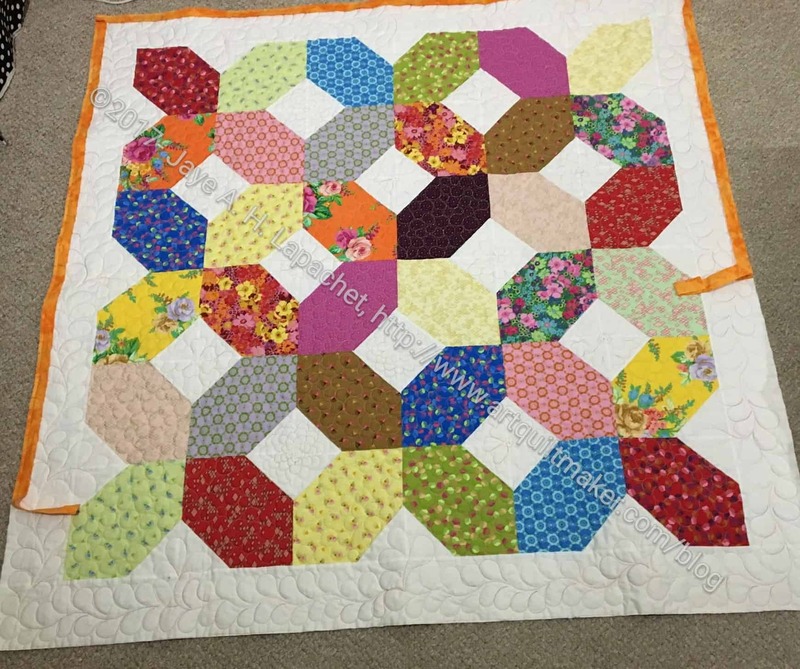 From what I can see of the quilting, it looks good.